The Glasgow School of Art’s primary elevation prior to the 2014 fire. 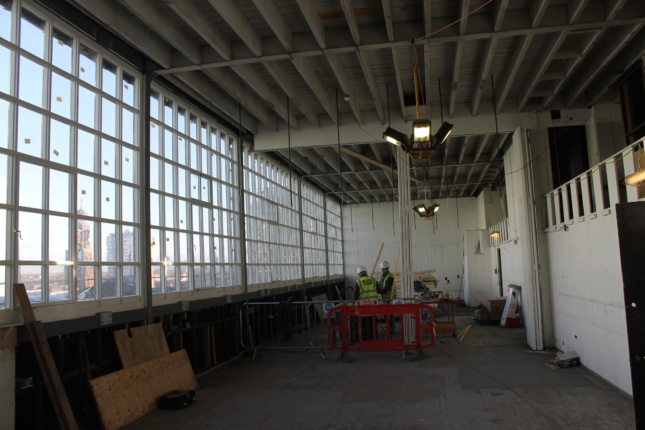 (Glasgow School of Art/McAteer Photograph). 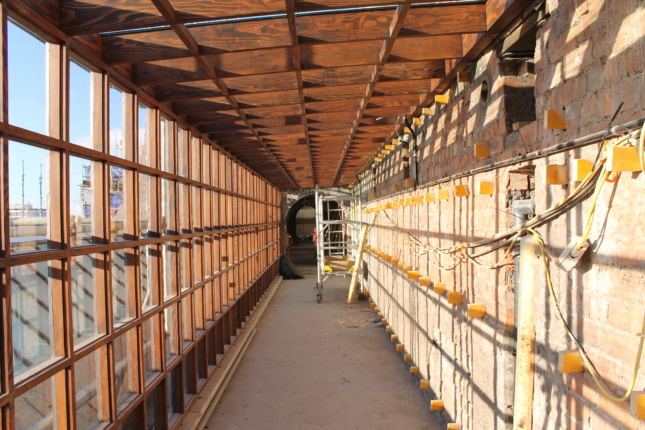 In December 2017, AN toured Page \ Park Architects‘ ongoing $40-million restoration of the structure. 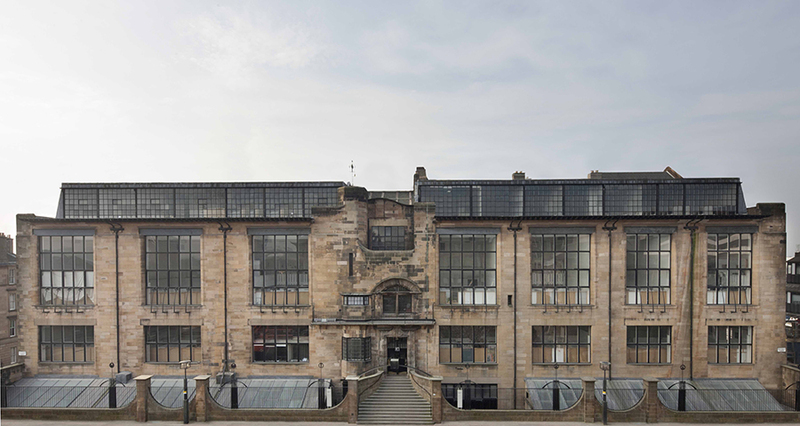 The Glasgow School of Art was constructed in two phases: the eastern section was opened in 1899 while the western section was completed a decade later. Now entirely lost, the remaining segments of the eastern section provided a glimpse of the design details that made the Glasgow School of Art one of the world’s finest executions of the Art Nouveau style. 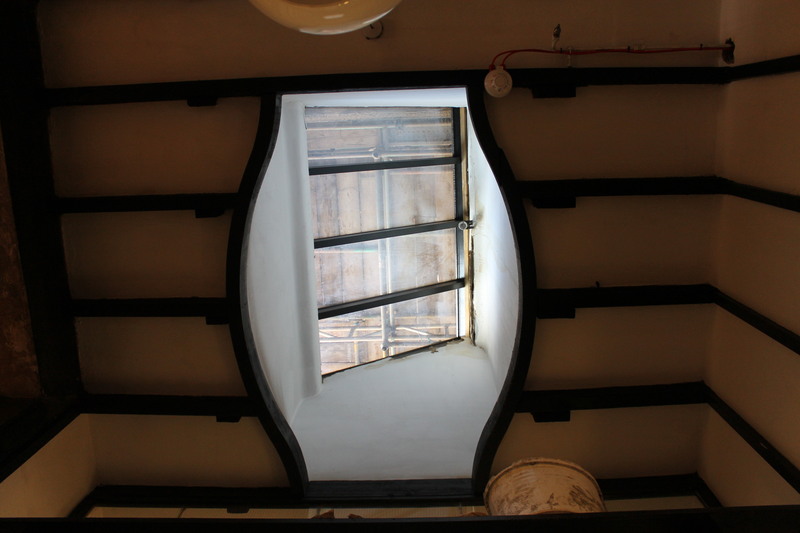 Corridors and studio spaces within the building were illuminated by a clever series of projecting oriels, slanted skylights, and gaping multi-pane windows. 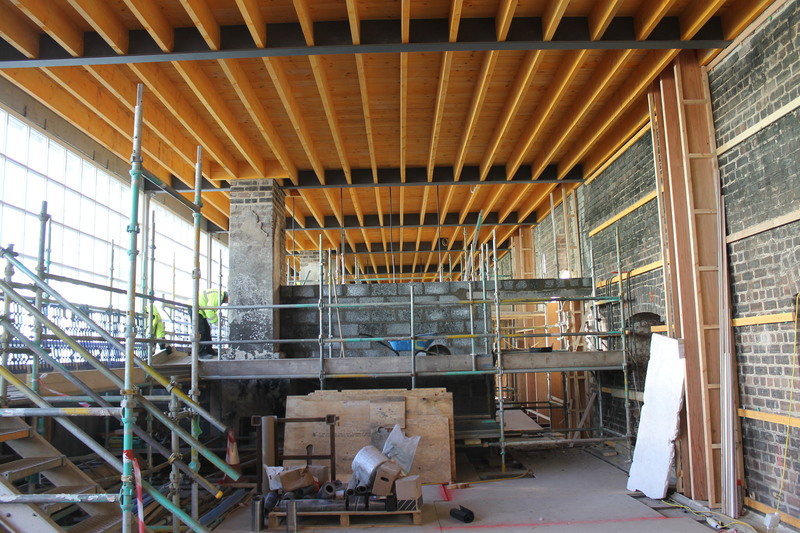 The university’s original boardroom, one rooftop studio space, and a large degree of woodwork remained intact. 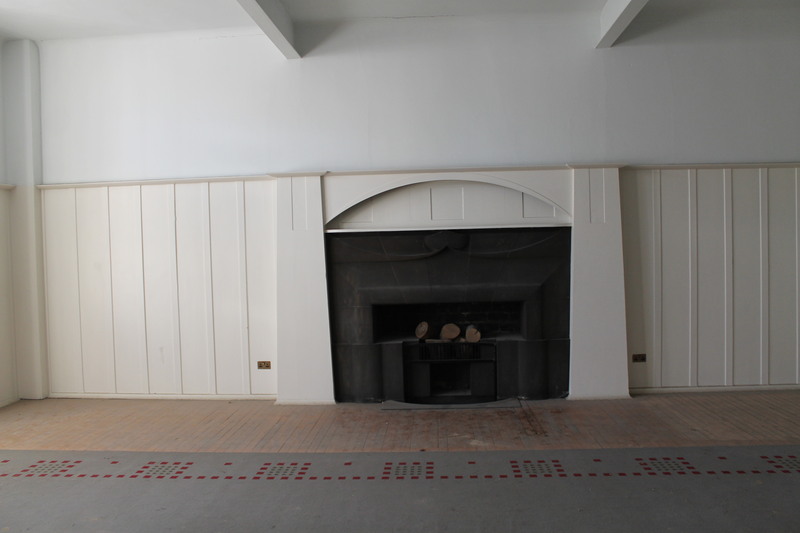 While the restoration was still over a year from completion, Page \ Park Architects had taken significant strides in bringing areas of the building to their original condition. 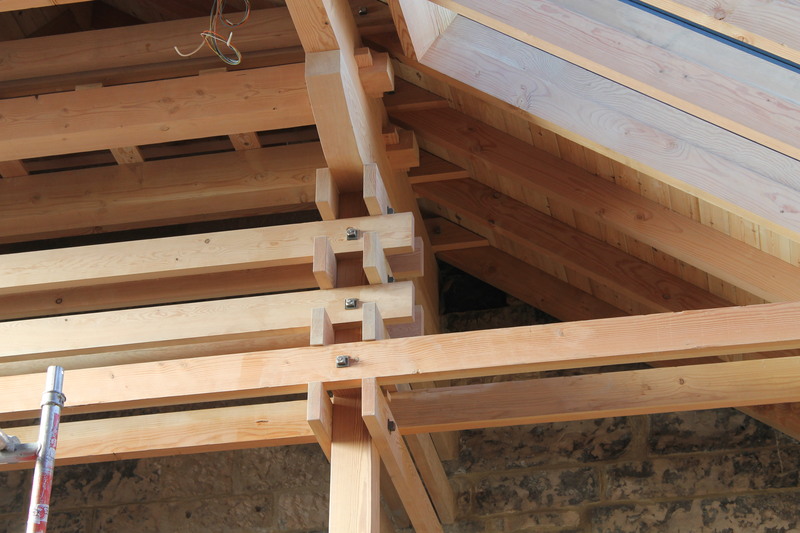 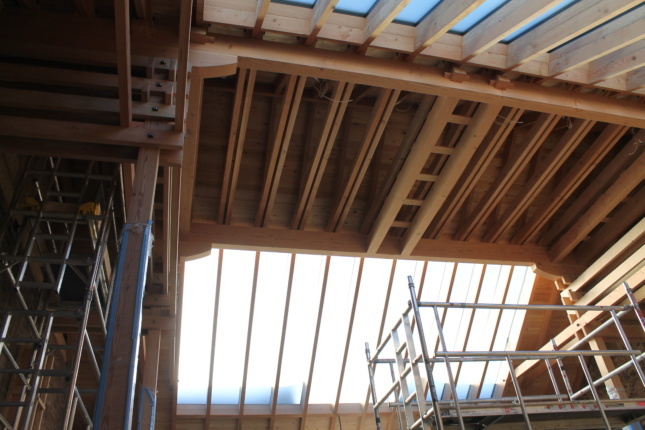 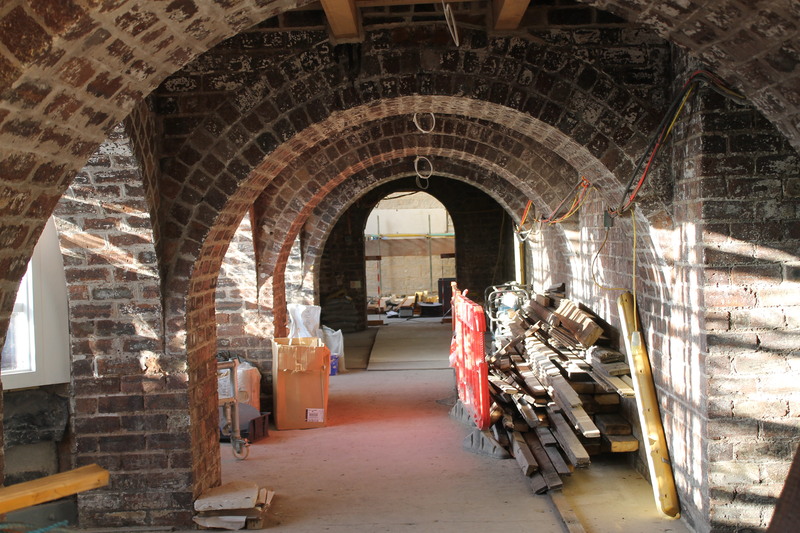 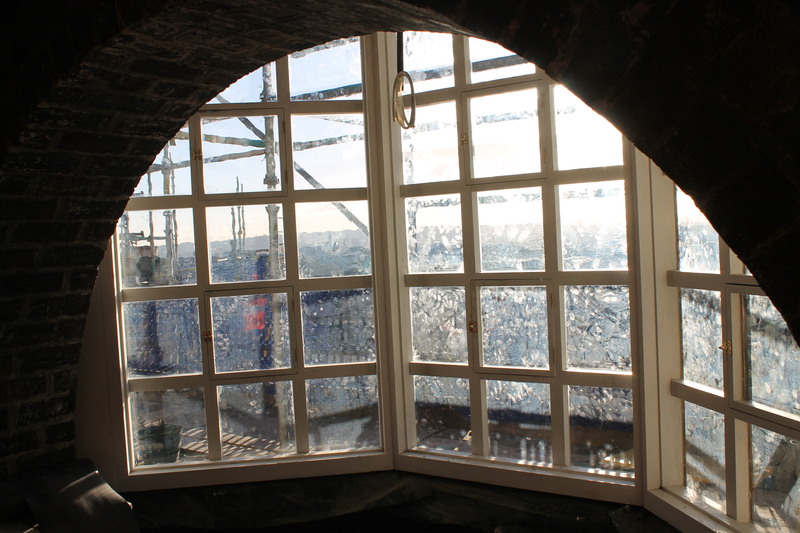 Work on the upper loggia, “Henrun,” and Studio 58–considered three of the most important spaces within the building next to the library and Mackintosh gallery–was well underway. All of that work was destroyed in this year’s fire.